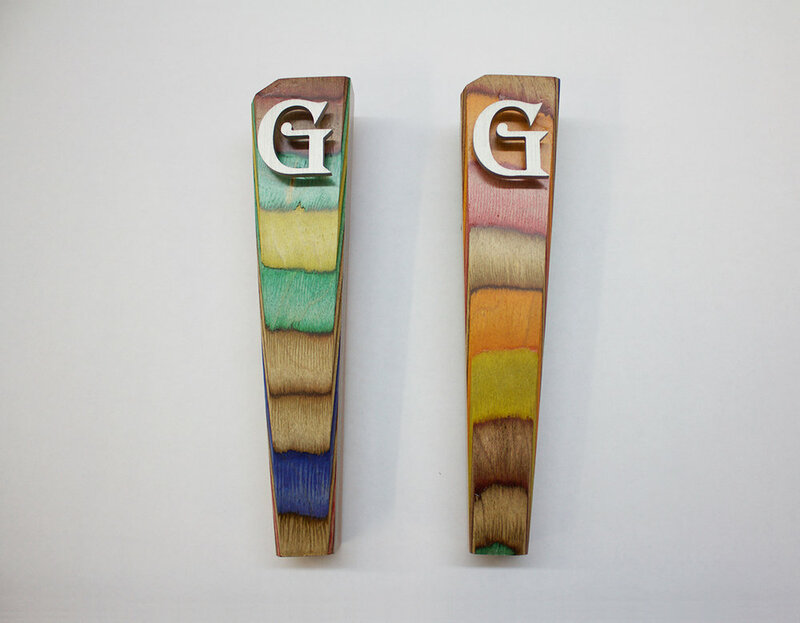 We were asked to create some custom tap handles for Gentile Brewing Company with our good friend Kevin Quinn. These are fully custom so each one is slightly different. Together we ordered colored ply's, laminated them, cut, drilled, adhered metal logos, and applied finish. We continue to make additional sets of taps throughout the year. Find them in your local bar.